There is a poem in Urdu literature written by Faiz Ahmed Faiz titled Tanhai. For those who do not understand Urdu, this has been roughly translated as “solitude” over the years. However, those who are familiar with the language know it means something entirely different. Tanhai is akin to loneliness, the longing for companionship that lingers on the border of depression, while solitude has a positive connotation. Google Dictionary puts them both into context: “she savored her few hours of freedom and solitude” as opposed to “feelings of depression and loneliness.” Indeed, the poem is about rejection, reclusion, and depression rather than the comfort of solitude. This misinterpretation perfectly summarizes how depression and other mental illnesses have been repeatedly downplayed or tossed aside as “making a mountain of a molehill” in the American-Asian and Muslim communities. Psychological fragmentation and biological hardwiring are oftentimes seen as “temporary phases” or “excessive emotions” and their symptoms are swept under the rug as a result. Reem Moosa, a 21-year-old Egyptian Psychology student at Toledo University, has experienced this phenomenon first-hand. She has known individuals both inside and outside her social circle who have either committed or attempted suicide, yet social and religious taboos and an overall lack of awareness initially held her back from identifying the cause of those losses. This, she believes, is largely due to ignorance. A brief article published by Asian and Pacific Islander Health Forum in 2006 suggests that this ignorance is largely due to the cultural and religious stigma surrounding mental illnesses. Many immigrant families believe that a relative admitting to a psychological disorder brings shame to the entire family and tarnishes their reputation in the community. 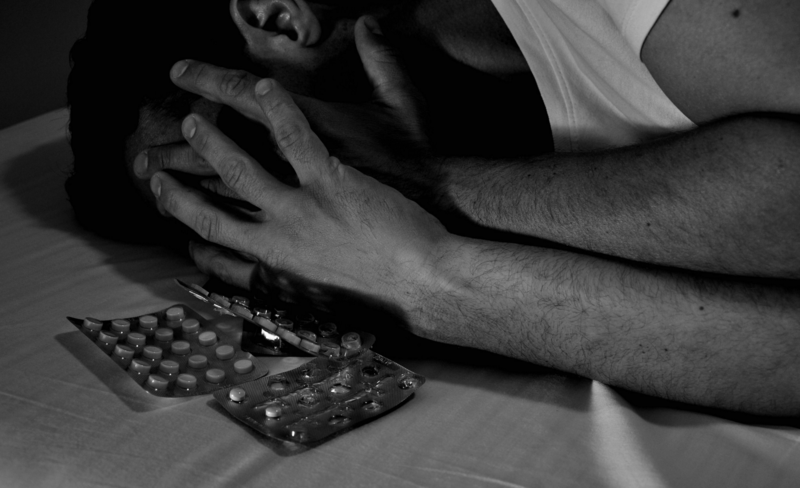 Depression is viewed as a weakness, eating disorders as narcissism, and substance abuse as immoral. Not surprisingly, a study conducted by the Substance Abuse and Mental Health Service Administration (SAMHSA) shows that the Asian population, which is a large chunk of the American Muslim population, consistently claims the lowest percentage of mental health service utilization as compared to any other racial/ethnic group in the US. When asked why, the same community scored highest on “structural barriers,” in fact “did not think services would help”. These trends were consistent regardless of age, gender, education level, and poverty and insurance status. When compared, however, these numbers are at odds with the current mental status of many minority groups. A 2011 report released by the National Alliance on Mental Illness shows that 71 percent of Southeast Asians meet the criteria for mental disorders. Alcohol use has also increased a result of job-related stress and depression. These trends are consistent in the Muslim population at large, which entails a religious taboo in addition to a cultural one. Those with psychological disorders are oftentimes viewed as “weak in faith” or “irreligious”–if a Muslim is truly thankful to and trusts God, how can he or she be sad, inflict self-harm, or fall prey to substance abuse? Imam Sohaib Sultan, author and Muslim Chaplain at Princeton University, believes that this view is false. “There are real sources of mental anguish that, no matter how much faith you have, can really affect you,” he said. This shrugging off and even condemning of mental illness is becoming an increasing concern, seeing that the Muslim population in the United States is predicted to increase by more than 100% by 2030, rising from 2.6 million in 2010 to 6.2 million by 2030, in part due to immigration. If Muslim minorities continue to disregard the gravity of psychological wellbeing, common stressors accompanying these incoming immigrants including employment and excellence in education will only make matters worse. These trends, however, may be on the verge of a cultural and religious shift. The growing presence of first-generation Muslims, born and educated in the US, could well be the beginning of the stigma’s downward spiral. Information is readily available on the Internet and social media allows the sharing of thoughts and articles at the click of a button. Nonprofit organizations and professional institutes are budding and being run by Muslims professionals in the field of psychiatry and psychology, hosting conferences, providing outreach, and running other facilitative programs that encourage open dialogue. There has also been an increase in the number of Muslims entering these fields. Brother Sultan, whose primary responsibilities include providing counseling to Muslim students on campus, says that many of them are now open to discussing their emotions. He says the key lies in relationship building. “When somebody comes to you telling you about their experience of mental anguish, the response is never to just listen. If someone comes with a toothache, you don’t tell them that they’re just imagining it,” he said. This is the relationship and understanding that is absent in many immigrant households. The denial or denunciating of mental illness by immigrant parents results in distrust between themselves and the first generation, which only serves to increase its permeation into the lives of both. While Moosa and other first-generation Muslims may finally be open to discussing an issue that has been boiling beneath a gilded lid, many still suffer in silence. The efforts are not nearly enough. And therein lies the core of the issue: You can only sweep things under the rug for so long before it is no longer enough. Here are a few sources to read up on: ethnic differences in the use of mental health services amongst adults, mental health among Asian-Americans, the current status of ethnic minorities in psychology, a demographic portrait of American Muslims, and the future of the global Muslim population. It’s known amongst mental health professionals that awareness varies about mental illnesses amongst various cultures. This article is a nice summation of data along with creative thinking and writing. It’s time to come out of cultural shell and denial of treatable mental illnesses which prevents individuals reaching their full potential. Wake up people, or you will be varnished!! but what can one do against it? Where do u can get help when it is even not accepted by the family?